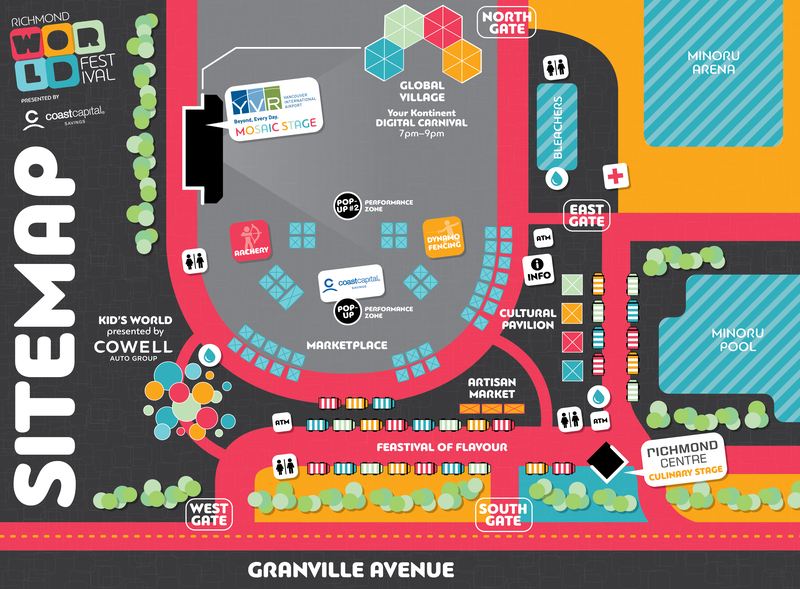 The Richmond World Festival is the City’s newest signature event. Scheduled for Saturday, September 5, 2015, this one day festival will feature music, food, sport and culture from around the world. A major headline artist will close the main stage with numerous multicultural acts performing throughout the day. The event will include a food truck festival, a culinary stage and activities for all ages. There are numerous hotels within walking distance to the festival. Please visit Tourism Richmond for suggestion and booking information.